THE MUSLIM NEWS: Islamic and conventional insurance to be separated In Bangladesh, the Insurance Ordinance 2008, approved last month, will allow Islamic insurance, but no company will be permitted to do both Islamic and conventional businesses simultaneously in a major change in the 70-year-old insurance laws. Many insurance companies, which run both forms of practices, have to choose either Islamic or conventional insurance after the promulgation of the new law. BBC: The UK is facing its worst economic crisis in 60 years, Chancellor Alistair Darling has admitted. He told the Guardian newspaper that the economic downturn would be more "profound and long-lasting" than most people had feared. 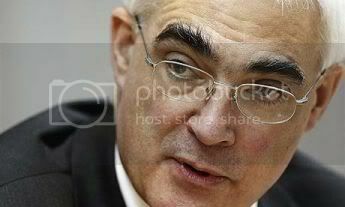 Using strong language, Mr Darling acknowledged voters were angry with Labour's handling of the economy. Ministers are expected to announce a package of measures next week to kick-start the moribund housing market. House prices are falling at their fastest rate in 18 years, leading to fears of a wave of repossessions in the upcoming months. Mortgage lending has slowed dramatically due to the credit crunch while key indicators have suggested that the economy could be poised to go into recession in the near future. Economy at 60-Year Low, Says Darling. And It Will Get Worse: In an exclusive interview, chancellor says Labour failing to communicate with voters. Britain is facing "arguably the worst" economic downturn in 60 years which will be "more profound and long-lasting" than people had expected, Alistair Darling, the chancellor, has told the Guardian today. In the government's gravest assessment of the economy, which follows a warning from a Bank of England policymaker that 2 million people could be unemployed by Christmas, Darling admits he had no idea how serious the credit crunch would become. Darling's blunt remarks lay bare the unease in the highest ranks of the cabinet that the downturn is making it all but impossible for Gordon Brown to recover momentum after a series of setbacks. THE GLOBE AND MAIL: BERLIN — German Chancellor Angela Merkel topped Forbes magazine's list of the world's 100 most powerful women for the third year running, while U.S. Secretary of State Condoleezza Rice slipped to seventh from fourth last year. 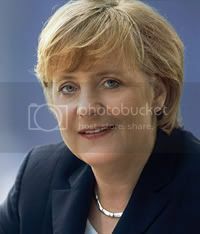 Ms. Merkel, who became Chancellor in November, 2005, was cited by the magazine in its latest edition for her efforts to streamline Europe's biggest economy, increasing the national retirement age and putting more women in senior government posts. TOWNHALL.COM: The Democrats did what everyone knew they had to do: nominate Barack Obama by acclamation on the first ballot of their convention in Denver. But Hillary Clinton made everyone wait until nearly halfway through the balloting before making that inevitable motion, and in so doing underlined the chief lesson of the convention. The delegates were almost evenly split between her and Obama, and the deep division in the party was painfully evident. The reservation so many delegates had about Obama had one clear cause, and it had nothing to do with the fact that he is black. On the contrary, the fact that he is an African-American counted heavily in his favor, and may have been the decisive factor in his victory. The reservation has to do with his lack of experience. Obama became an attorney, served as a member of the Illinois State Senate for eight years, and was then elected to the U.S. Senate in 2004. He has served in that capacity for fewer than four years -- his only experience in a federal office. And now, as intractable problems beset the U.S. economy and the Middle East is wracked by turmoil, he offers himself as a candidate for the presidency of the United States. THE TELEGRAPH: Fears are mounting that Russia may restrict oil deliveries to Western Europe over coming days, in response to the threat of EU sanctions and Nato naval actions in the Black Sea. Any evidence that the Kremlin is planning to use the oil weapon to intimidate the West could inflame global energy markets. US crude prices jumped to $119 a barrel yesterday on reports of hurricane warnings in the Gulf of Mexico, before falling back slightly. Global supplies remain tight despite the economic downturn engulfing North America, Europe and Japan. A supply cut at this delicate juncture could drive crude prices much higher, possibly to record levels of $150 or even $200 a barrel. With US and European credit spreads already trading at levels of extreme stress, a fresh oil spike would rock financial markets. The Kremlin is undoubtedly aware that it exercises extraordinary leverage, if it strikes right now. Such action would be seen as economic warfare but Russia has been infuriated by Nato meddling in its "backyard" and threats of punitive measures by the EU. Foreign minister Sergei Lavrov yesterday accused EU diplomats of a "sick imagination". Armed with $580bn of foreign reserves (the world's third largest), Russia appears willing to risk its reputation as a reliable actor on the international stage in order to pursue geo-strategic ambitions. In the coming days, tens of thousands of Israelis will be returning from their vacations abroad. After they unpack their suitcases and take out the perfumes they bought at the duty-free store, and after the kids go back to school, memories of their trip overseas will resurface. And among other things, what they will remember is this: Veils. Plenty of veils. Black veils made of simple cloth, expensive veils made of silk, long veils, and short veils. Europe is putting on a veil over its face. For years now this has been the picture encountered by guests who arrive there for a brief moment (and who are more aware of these things) in the major streets of large cities, and also in small towns. Yet it appears that an all-time record was broken this summer – but perhaps we are still far away from the record? THE TELEGRAPH: The pound could slide as low as $1.50 against the dollar in the coming years as the exodus of foreign investors from sterling gathers pace, experts have warned. The days of the $2 pound are gone for at least five years, they added, as sterling dropped to a new two-year low against the greenback. The pound dropped almost two cents compared with its previous close to $1.8386 - the first time it has dipped beneath the $1.84 mark since mid-2006. It also hit a new 12-year low on its trade-weighted index, which measures it against a basket of other currencies, falling 0.1 points to 90.5. NZZ Online: Ein saudischer Geschäftsmann plant den Bau einer Brücke über die Meerenge zwischen der Arabischen Halbinsel und dem Horn von Afrika. Das Projekt mag utopisch erscheinen, doch Investoren aus dem Golf sind schon eifrig daran, ihre Geschäfte in Afrika auszubauen. TIMESONLINE: London's leading shares today tumbled by 134.1 points as the pound slid to its lowest level against the dollar since July 2006 and fears rose another Wall Street bank is close to collapse. The FTSE 100 index of blue chip stocks fell to 5,373.4 points in early trading, after investors were also spooked by a warning from the Bank of England's Deputy Governor, Charles Bean, that the current slowdown will continue for a "considerable time". The index was dragged down by mining companies after the price of copper in China slumped while the dollar strengthened against sterling, sending the pound down to a two-year low at $1.84. Today's fall in the FTSE follows a torrid day in the US yesterday when the Dow Jones industrial average closed 2 per cent lower, on speculation that another investment bank is set to follow in Bear Stearns footsteps, and seek a bail-out to stop it from going under. TIMESONLINE: Britain's economy is teetering on the brink of recession as official figures showed that output ground to a halt between April and the end of June. This is the weakest performance since 1992, the tail-end of the last recession and will increase pressure on the Bank of England to cut interest rates to prevent a full blown economic slump. Official figures released this morning showed that output did not grow at all in the second quarter, contrary to initial estimates showing that the economy grew by 0.2 per cent between April and the end of June. On the year, GDP was 1.4 per cent higher, revised down from an initial reading of 1.6 per cent and the weakest since the final quarter of 1992. The downward revision came after grim news from the manufacturing and services sectors with surveys suggesting acitivity has contracted for at least three months in a row. TIMESONLINE: I'm back in Paris from Moscow but the news is still Russian. President Sarkozy has warned the Kremlin of the dire consequences that will ensue if it fails to pull its troops out of Georgia. If it does not, he will... call a special meeting of the European Union council. That will give Vladimir Putin pause for thought. 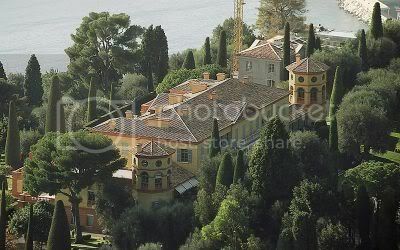 And we have confirmation today that a spectacular Belle Epoque villa on the Riviera is being bought by Mikhail Prokhorov, one of Russia's biggest billionaires, for the astonishing sum of 496 million euros (731 million dollars). The world record real estate deal emerged last week, but the identity of the mystery Russian was only reported yesterday by Nice Matin newspaper. THE TELEGRAPH: Credit Suisse has become the first major bank to target the pink pound with a bespoke private banking service provided by gay advisers. The Swiss banking giant’s new service will cover all the traditional aspects of private banking, alongside tailored services to deal with events such as civil partnership and adoption. Credit Suisse said that gay role models - such as Boris Johnson’s chief of staff Nicholas Boles - have helped boost the confidence of the younger gay community - leading to an increased desire to be dealt with by those that understand their lifestyle. Many of the bank’s rivals, including HSBC, Barclays and UBS, offer no specific service or products for the lesbian, gay, bisexual and transgender (LGBT) community. UBS said that it does not “segregate clients in this way”, while HSBC offers other dedicated services such as a diamond and jewellery arm and a family office within its private banking business. TIMESONLINE: Sterling fell against the dollar for the eleventh day in a row yesterday, its longest consecutive decline since 1975, as concerns mounted over Britain’s faltering economy. The pound hit a more than two-year low of $1.8514 – a level not seen since July 2006 – further extending a seismic shift in currency markets in recent days as interest rate expectations for big economies change. This latest fall came only days after the Bank of England struck a doveish note in its quarterly Inflation Report, leading analysts to believe that the door may be open for rate cuts once spiralling inflation starts to fall. Investors are fleeing to the dollar after reassessing the merits of the US economy against those of the UK and the eurozone. They are betting increasingly that the US Federal Reserve’s next move will be to raise interest rates, while gloomy data from the UK and the eurozone this week suggested that rate cuts could be on the cards. BBC: The dollar has hit a six-month high against the euro and its highest in almost two years against the pound. The US currency has bounced back from record lows against euro on fears that European growth may slow sharply. The UK is also struggling with high inflation and faltering growth, causing a slide in sterling. The European currency hit a six-month low of $1.4812, while the pound hit a 21-month low of $1.9012 in trading on Tuesday morning.